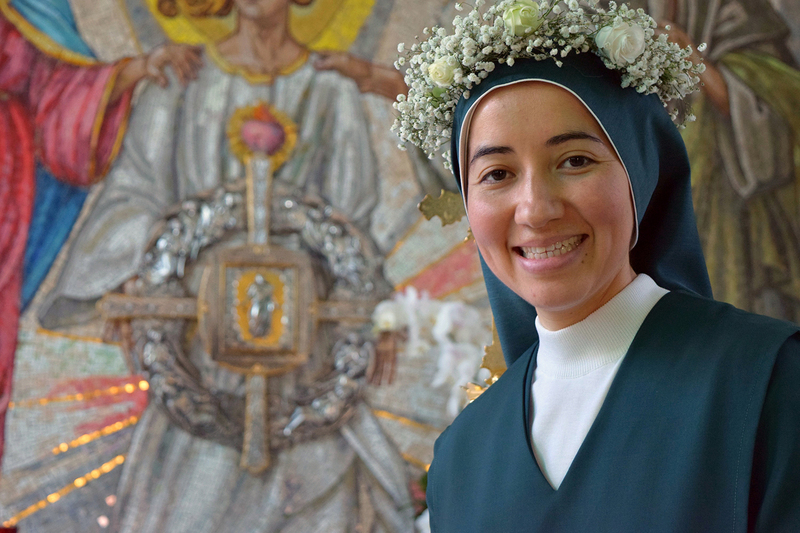 Sr Angelica on the day of her First Profession. It is beautiful to see how each person’s love story with Jesus Christ is unique and unrepeatable. The creativity with which He calls everyone is impressive. He surpasses all our thoughts. 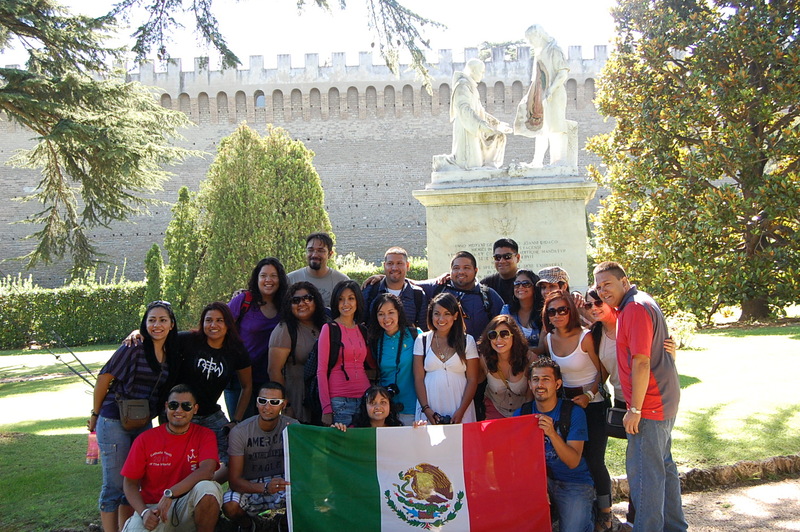 God’s calling began when the Diocese of Austin invited the young people to participate in the 2011 World Youth Day. When I received this invitation, I belonged to the youth group at the St. Louis, King of France, parish in Austin. I thought this seemed like a great opportunity to share our Catholic faith with young people from all over the world and a great opportunity to meet the Pope. I also wanted to visit Rome, the heart of Christianity. I began my journey without ever imagining that after this pilgrimage my life would never be the same again. After the World Youth Day, we returned to Austin and I began to reflect on my life and I realized that I had always done what I had planned, but I had never asked myself what the Lord wanted me to do. I cannot say that after this experience I thought about consecrating myself to the Lord, but I can say that the desire to truly know Him, love Him, serve Him and know my Catholic faith was born from this experience. Therefore, I contacted the Missionaries of the Divine Revelation to know more about the faith. Slowly, I started to seriously consider the prospect of a few months experience of the religious life with the community. I started a period of discernment with Mother Rebecca. Each week, for a year, we would talk on skype to prepare for the experience. I remember that on one occasion she told me: “Look, Lupita, if you do not take this experience seriously, you will not discover what the Lord wants from your life.” Her advice made me reflect on the fact that I should not waste my time, but take the opportunity to discover God’s will for my life more seriously. 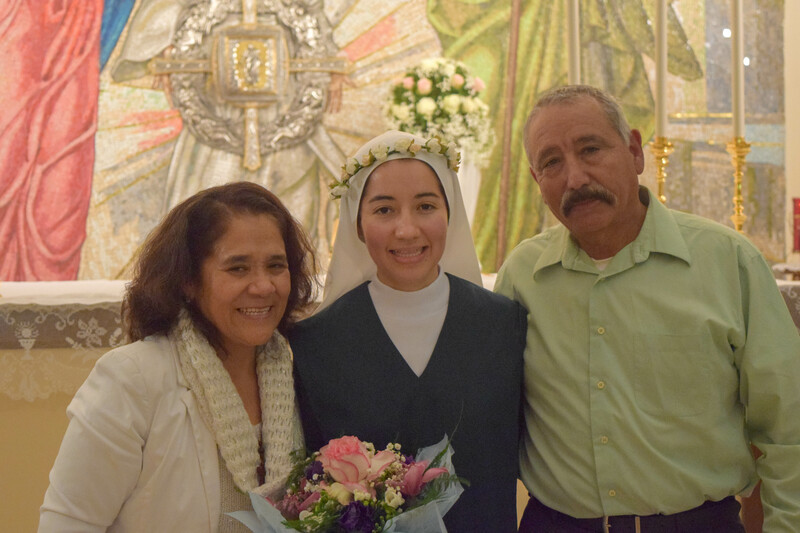 Sr Angelica with her family on the day she entered the Novitate. and the Virgin protects us.